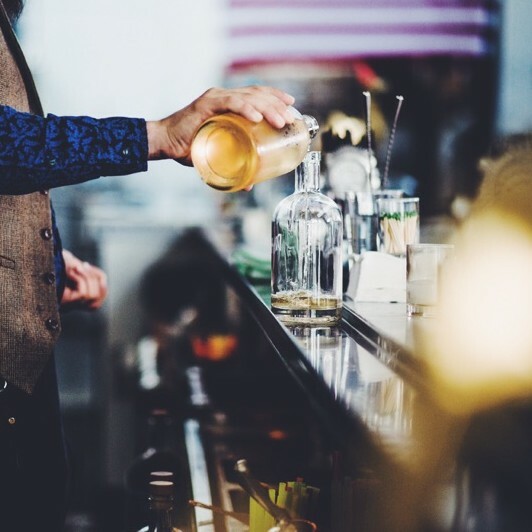 No one appreciates a good drink special quite like we do at Insignia on M. Luckily at Navy Yard there’s no shortage of convenient, delicious, and affordable happy hour possibilities within walking distance of our doorstep. Because what’s better than having a drink after a long day at work? Doing it just minutes away from home so you can spend that extra metro or cab fare on appetizers. So, without further adieu, here are a few of our favorite Navy Yard spots to spend your next much earned happy hour. This rustic, lodge-themed restaurant and sports bar has no shortage of delectable drinks and cuisine, with a full-bodied craft beer selection and a menu of specialty sausages and sandwiches. What makes it one of our favorite happy hour localities? It’s a five-minute walk from Insignia, offers $4 beer and wine specials from 3-7PM, and is the perfect place to pre and post game as baseball season begins. With fresh, seasonal cuisine and an all liquid happy hour of discounted draft beers, $5 house wines, and $6 well drinks from 3-6pm, Due South is a great place to enjoy a weeknight evening out. This repurposed lumber shed is one of our favorites because it serves up not only delicious, southern inspired libations, but also a hospitable southern charm you don’t often find in the city. Don’t miss: $8 mules on Thursdays. Torn by your options and eager to try them all? Luckily Navy Yard is home to these restaurants and many more, meaning an early Thursday night happy hour always has the opportunity to become a late night bar crawl. And if you’d rather not leave the comfort of your own home— because we all know the feeling— Insignia on M’s luxurious spaces are also the perfect place to spend a cozy night in, curled up with ice cream and a good movie.